This is the first in an occasional series of sample excerpts from Food Wine Rome the app. Rome, the best food city in Italy? Maybe. 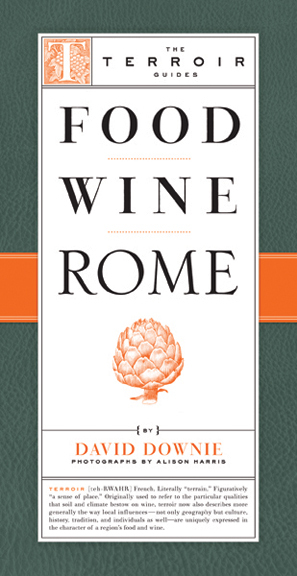 Here’s your first sampler from my new FOOD WINE ROME app, a fully functional, GPS-driven app based on the critically acclaimed, award-winning book FOOD WINE ROME, a guidebook and pocket bible to the history and culture of food and wine in Rome today. Roscioli is an oddball, a crossover food and wine boutique, restaurant, and late-night hangout for Rome hipsters, plus a wine-tasting and snack bar of the highest order. An astonishing success story, it belongs to the same hard-working family behind nearby Antico Forno Marco Roscioli. Under the guidance of brothers Alessandro and Pierluigi Roscioli, the family’s former salami shop and grocery store was transformed into a boutique property with delicacies displayed like books on shelves, or jewels in cases. Long and narrow, with small black-topped tables and spotlighting, it has become one of the city’s most innovative places to eat a mix of traditional and updated Roman food, and taste or buy excellent wine (600 different bottlings are sold, 40 from Lazio), olive oil, balsamic vinegar, cheese, and ham. All are made by small, high-quality producers. Cheese: The luscious ewe’s-milk ricotta arrives daily from Caseificio Giuseppe Lopez, one of the Lazio region’s premier cheesemakers. The pecorino fiore sardo, a ewe’s-milk cheese aged 18 months, is handmade by shepherd Giuseppe Cuguzi in Sardinia; he “washes” the rounds with olive oil and rubs them with juniper ash, which gives them a tobacco hue and an exquisite, smoked flavor. Buy the app now. Buy the book now. 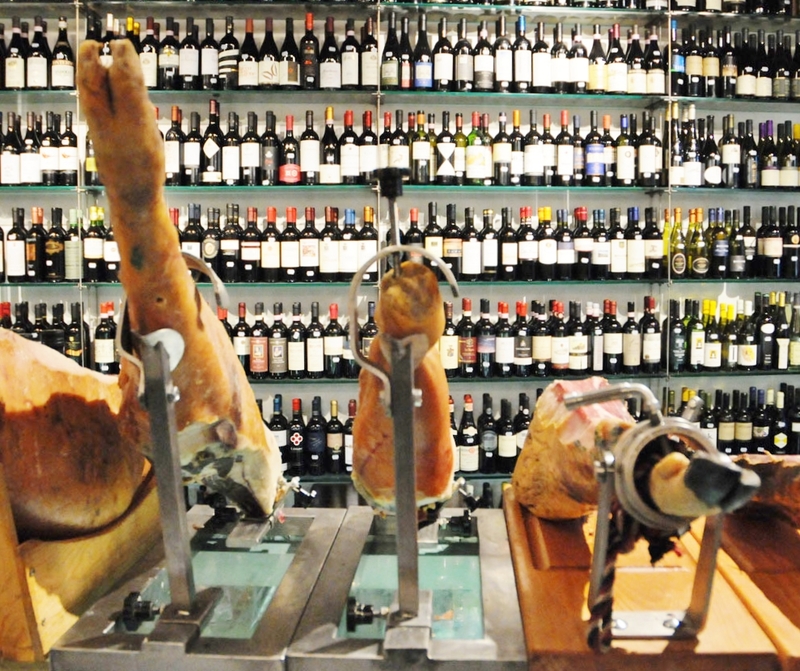 Hams, salami, cold cuts: The amazingly flavorful salamis, culatello, and fiocco are handmade by Fulvio Pier Angelini from the meat of free-range, heirloom cinta senese pigs (and air-dried in Polesine Parmense, near Parma). Bread and pizza: Roscioli’s pizza bianca served here is baked by Pierluigi Roscioli himself at the family bakery up the street, and is unquestionably Rome’s best: crisp yet tender and redolent of olive oil. The cakes and many of the desserts also come from the bakery. You can eat any of the deli or bakery delights at table, but you can also order from the menu, which includes several outstanding dishes. Pasta: Roscioli’s amatriciana is a classic. Roscioli’s carbonara is often cited as Rome’s best; it is certainly among the most luscious, flavorful, and elegantly presented in town, and the ingredients are peerless, from the aged guanciale to the organic eggs (only the yolks are used) to the pecorino di fossa, excellent parmigiano, and pepper from Sarawak. Scoop and poop: At Roscioli the chef’s skill is apparent in everything from the simplest starters and pasta dishes, which are always beautifully plated, to the impeccably fresh grilled wild sea bass. At Roscioli, fish dishes are offered only once the daily catch gets to the restaurant from the fish markets of Anzio or Civitavecchia. Tip: Reserve ahead, or get to the restaurant before 12:30pm for lunch and 8pm for dinner, or be prepared to wait for a table. 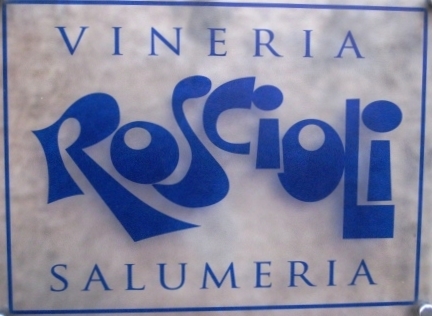 (Note that in 2012 Roscioli opened a new casual-hip restaurant annex nearby between the main restaurant and Ghetto: it’s called Rimessa Roscioli, the address is Via di San Salvatore in Campo 54, and the contact information is the same as per the main Roscioli operation. Wine tastings are held here and high-quality snack foods are served).